Written by Pauline Eadie and Caryl Thompson. A team of researchers from The University of Nottingham in Ningbo and the UK and the University of the Philippines are in Leyte looking at poverty alleviation following the devastating typhoon Yolanda that hit the Philippines two years ago. They will spend the next two years assessing the effectiveness of the rehabilitation and livelihood strategies in Tacloban, Palo and Tuanauan in the wake of the typhoon which caused widespread death, devastation and displacement. 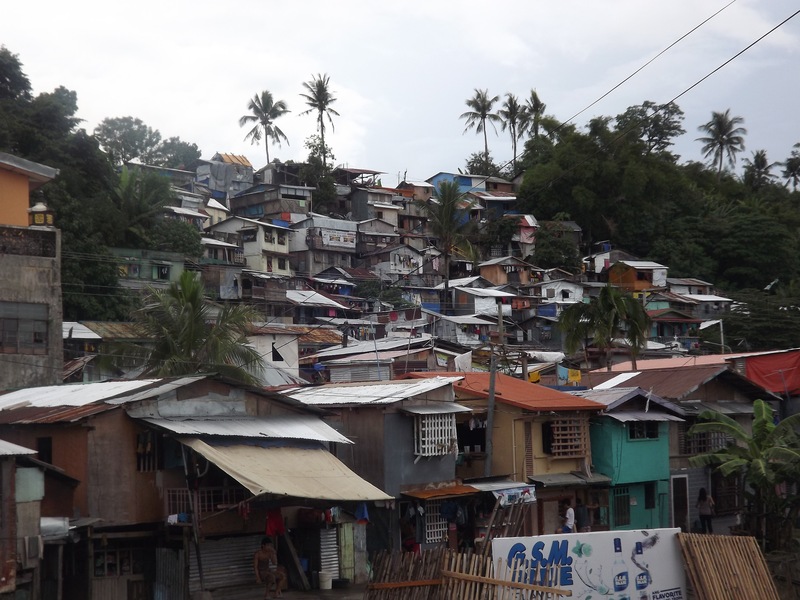 The research project – ‘Poverty Alleviation in the Wake of Typhoon Yolanda’ – has been funded by the Economic and Social Research Council (ESRC) and Department for International Development (DFID). The project is focusing on the factors that shape pathways into and out of poverty and people’s experience of these, and how policy can be created to sustain routes out of extreme poverty in ways that can be replicated and scaled up. The team is supported by ten locally hired enumerators who are currently conducting surveys in ten barangays (the smallest unit level of administration in the Philippines) across the three towns. Dr Pauline Eadie in the School of Politics and International Relations at The University of Nottingham (UK) is the principal investigator. Here’s Dr Eadie’s account of the visit. In the early hours of 8 November, 2013 Typhoon Haiyan (local name Yolanda) struck the Visayas islands, on the eastern coast of the Philippines. Yolanda packed wind speeds of up to 196 mph and brought in a storm surge that reached heights of up to 19 feet. The term ‘storm surge’ was unfamiliar to the locals. This resulted in mass casualties as evacuation was only partial. Many men stayed behind to guard housing and equipment whilst evacuation centres were primarily populated by women and children. The official death toll stands at 6,300 however this is widely regarded as a grossly conservative estimate. The team met with stakeholders in Manila, Tacloban, Palo and Tanauan. Timing of the project team’s visit is fortuitous. A number of international aid agencies, such as UNICEF and UNAID, and non-governmental organisations such Catholic Relief Services (CRS) and Oxfam are pulling out and turning over ongoing relief efforts to local agencies such as the National Economic and Development Authority (NEDA). This means that medium term socio-economic sustainability will undergo a transition period that will reveal the longer-term viability of the Eastern Visayas region. This region is one of 18 regions in the Philippines and it made up of three main islands. It is heavily dependent on primary agriculture and fisheries and it lacks a manufacturing base. 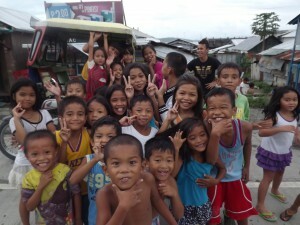 Since Yolanda it has slipped from second poorest to poorest region in the Philippines. In July 2015 United Nations Special Rapporteur, Chaloka Beyani conducted a review of Internally Placed Persons (IDP) in the Philippines. In the response to his visit he noted that significant challenges remain regarding the post-Yolanda housing situation. Many displaced persons have been relocated to temporary bunkhouses that have limited access to utilities and lack a police presence. The construction of permanent housing has been painfully slow and many residents remain within the 40 metre ‘no dwell’ zone next to the sea. The sea is at one and the same time a source of livelihood and a significant threat. During recent fieldwork it has become apparent that one of the greatest tensions facing the ‘Build Back Better’ efforts is the tension between safe housing and sustainable livelihood. If residents move to higher ground then they lose ease of access to both their fishing grounds and established local markets for their goods. Lessons for future best practice. It has also become evident that well intentioned livelihood strategies have suffered from a lack of joined up thinking. For instance some local residents have been trained as seamstresses and given sewing machines however the extent to which they can identify and access a market for their skills is unclear. In a recent United Nations Regional Coordinator’s Office exit strategy meeting (UNRCO) Verity Rushton, Emergency Child Protection Specialist at UNICEF raised her concerns that locals had attended re-training sessions when in fact they were not natural entrepreneurs. They had merely attended training sessions as they were paid to do so and returned to their previous occupations such as ‘fishing’ when the training ended. There is perhaps a lesson to be learned here in terms of future best practice. There is also some anxiety on the part of relief agencies that locals have become aid dependent due to ‘cash for work’ programmes and payments for attending meetings and training. Whilst these programmes are clearly commendable it is unclear how they can be sustained in the longer term once relief agencies have moved on to the inevitable next crisis. Locals have expressed deep appreciation to agencies such as the CRS and the Tzu ChiFoundation as they put cash and essential materials directly into the hands of the locals when they were needed most. This stands in contrast to government agencies whose efforts were often delayed because of concerns over transparency, accountability and the inevitable problems of red tape. The region is still materially and emotionally scarred. Filipinos are often praised for being resilient. This is true not least because of an evident culture of community or ‘Bayanihan’ spirit and close family networks. However, this cannot be used as panacea for the fundamental problems that a significant number of Yolanda survivors still face. The anniversary has been a stock taking exercise as well as a time of reflection. However sustainable livelihood and permanent residence with security of tenure remain beyond the reach of a significant number of local residents. 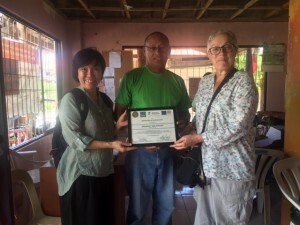 (Picture: Prof May Tan-Mullins (University of N0ttingham, Ningbo campus) and Caryl giving a certificate of appreciation to San Joaquin Barangay Captain Gregorio Lantajo Jr. 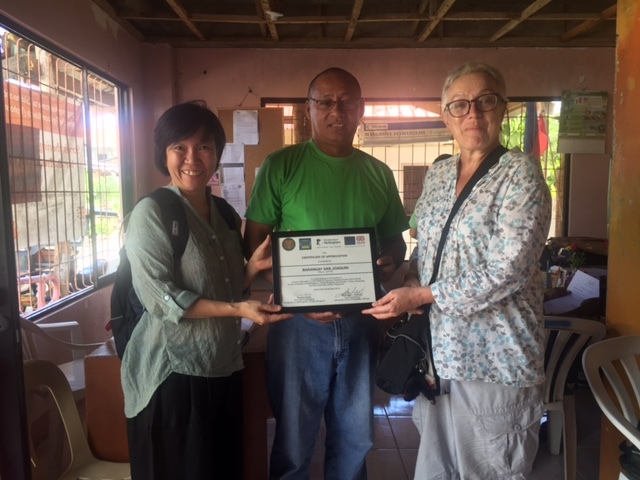 The certificates are for the Barangay’s agreement to allow us to conduct our research with the residents.Credit: Dr Pauline Eadie). Pauline Eadie is an Assistant Professor in the School of Politics and International Relations at the University of Nottingham. She is Primary Investigator of the ESRC/Dfid funded project ‘Poverty Alleviation in the Wake of Typhoon Yolanda’. Caryl Thompson is a doctoral candidate in the School of Politics and International Relations at the University of Nottingham. Her research focuses on political discourse in relation to migration. She is currently resident in Kuala Lumpur, Malaysia. Image credit: CC by NASA/Goddard. You can follow this project on Facebook as Project_Yolanda and Twitter @Project_Yolanda.